MySQL 5.7 sysbench OLTP read-only results: is MySQL 5.7 really faster? 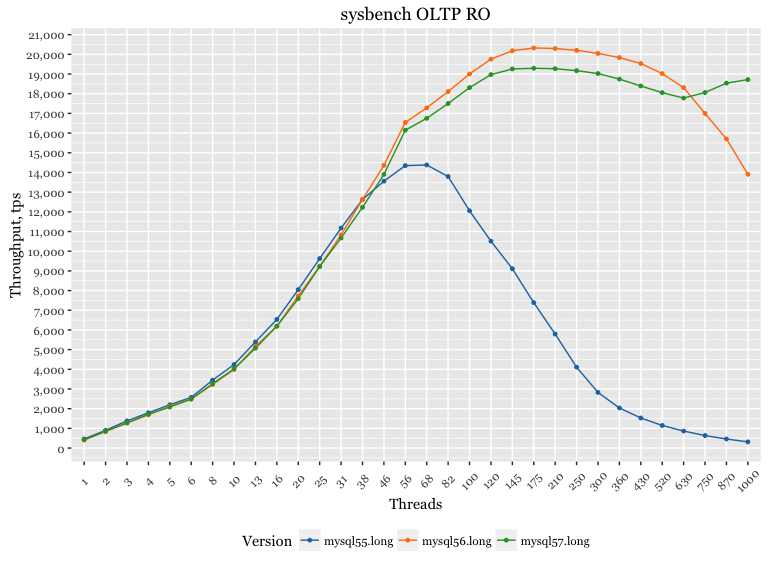 This blog will look at MySQL 5.7 sysbench OLTP read-only results to determine if they are faster than previous versions. As promised in my previous post, I have checked MySQL 5.7 performance against previous versions in a different workload. 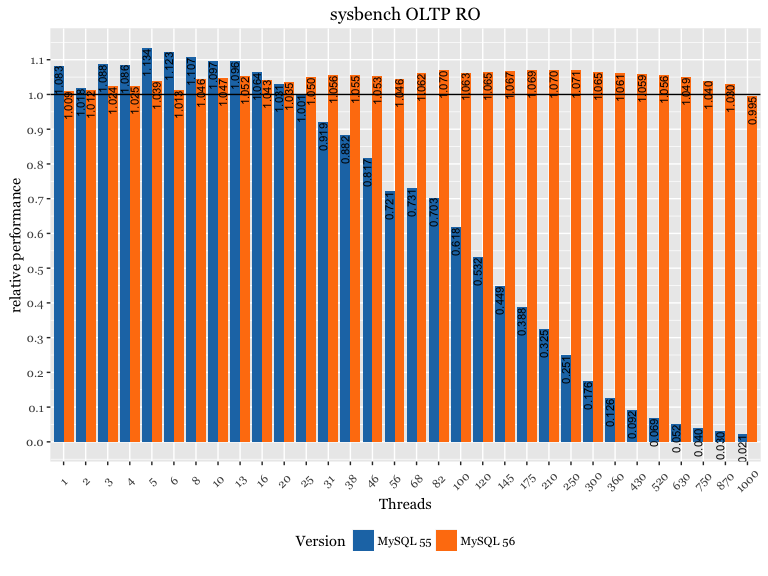 This time, I will use sysbench OLTP read-only transactions (read-write transactions are part of future research, as there is more tuning required to get the best performance in write workloads). One important thing to mention is that MySQL 5.6 and 5.7 have special optimizations for READ-ONLY transactions. In MySQL 5.6, however, you need to start a transaction with "START TRANSACTION READ ONLY" to get the optimization benefit. MySQL 5.7 automatically detects read-only transactions. I’ve modified the sysbench oltp.lua script to use "START TRANSACTION READ ONLY" for MySQL 5.6. This optimization is not available in MySQL 5.5. More details with scripts and config files are available on our github. Looking at these results, I was as surprised as you probably are. On a high number of threads and by a significantly visible margin, MySQL 5.7 is actually slower than MySQL 5.6. With a lower number of threads, MySQL 5.5 outperforms MySQL 5.7 by 8-15%, and on a higher number of threads MySQL 5.6 is better by 6-7%. This gives us a similar picture, with a couple of key differences. 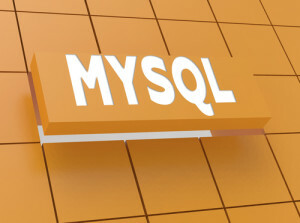 MySQL 5.6 encounters scalability problems sooner, and the throughput declines. The fix for that is using innodb-thread-concurrency=64. In this round, I did not test scenarios over 1000 threads. But gauging from the results above it seems that MySQL 5.7 has problems. It is interesting to consider how it will affect replication performance – and I will test this after my read-write benchmarks. The overhead in MySQL 5.6 is code that isn’t efficient with concurrency. The overhead in MySQL 5.7 is a longer code path — which is most obvious at low concurrency, but also means you run out of CPU sooner at high concurrency. Your graphs show that the improvements in 5.7 don’t always outweigh the costs. Does Percona Server 5.7 have the same problem as MySQL 5.7? Does it even make sense to upgrade to Percona 5.7? 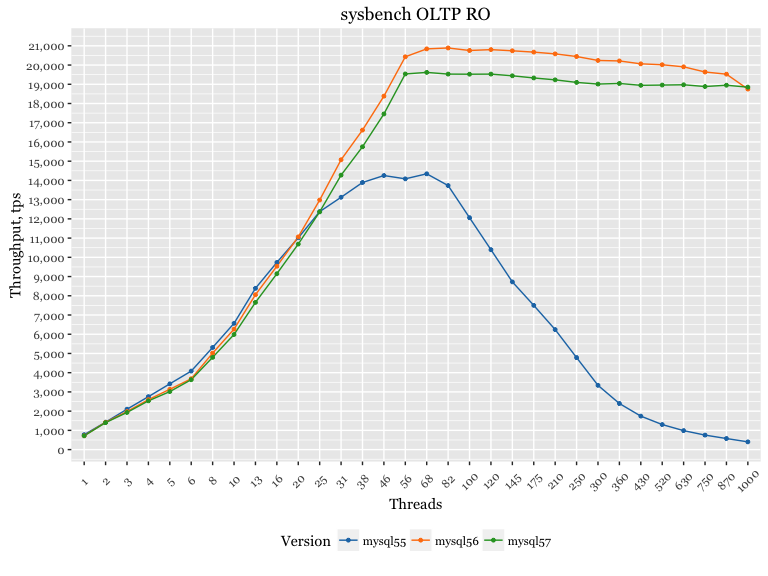 Slightly worse performance on sysbench read-only is something for the community to improve in MySQL 5.7 and 5.8. But this shouldn’t keep you from upgrading.